"I can't wait to be your wife." These were the sweetest words of actress Pauleen Luna for her husband-to-be Vic Sotto during a special "Eat Bulaga" episode held Saturday in preparation for her upcoming wedding with the television host. 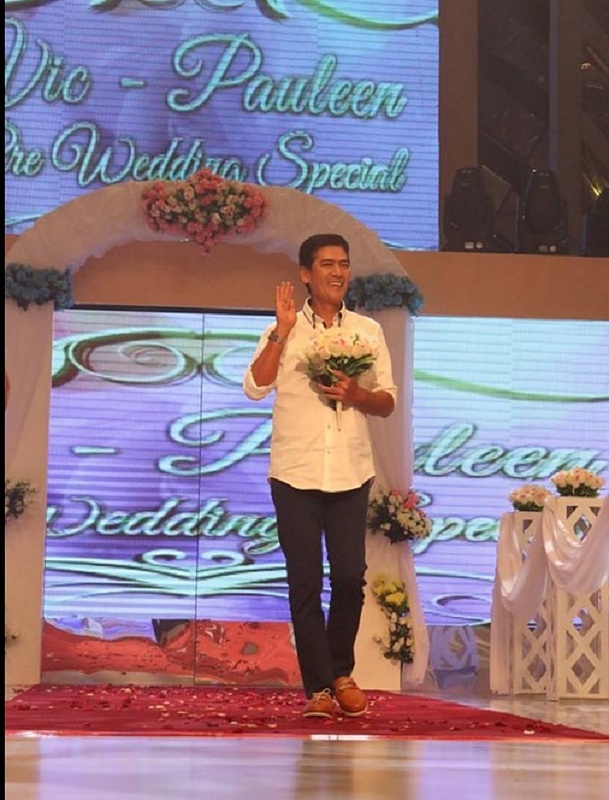 During the episode, Vic Sotto, who is 35 years ahead of Pauleen, also turned emotional when he opened up the initial criticisms his relationship with the actress received. While in tears, he admitted: "I know na hindi ganung kadali na tanggapin ang aming mga desisyon, but I know that you all love me and respect me kaya eto na kami ngayon." On Pauleen’s Instagram account shortly after the episode, she posted a photo of her and Sotto. The caption reads: "Our hearts are overflowing with joy! Thank you to all the well wishers! We are so excited to take our relationship a notch higher!" Pauleen is set to tie the knot with Vic before the month ends. It is expected that Miss Universe 2015 Pia Wurtzbach will attend the ceremony. For the time being, on Friday, Vic also had dinner with his children and Pauleen. The couple was spotted sharing a meal with Vic’s kids Danica, Oyo and Vico, and Paulina.